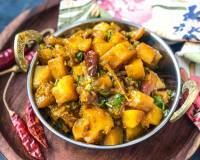 Kerala Pumpkin Black Eyed Beans Erissery Recipe is a simple and tasty Kerala style vegetarian recipe where pumpkin is cooked along with a coconut cumin masala and then boiled black eyed peas are added to the dish. 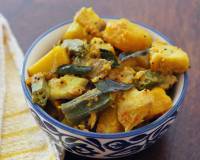 Serve it along a nice lunch meal or have it with roti for dinner. 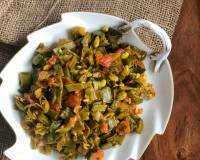 Kerala Pumpkin Black Eyed Beans Erissery Recipe is a quick pumpkin dish made healthier by adding black eyed beans. 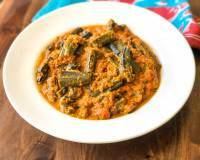 Flavors of Kerala like curry leaves, coconut, cumin are all present in the dish. 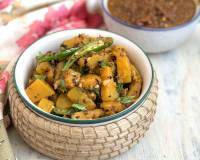 A tadka of sliced sambar onions browned in coconut oil lifts the dish up. 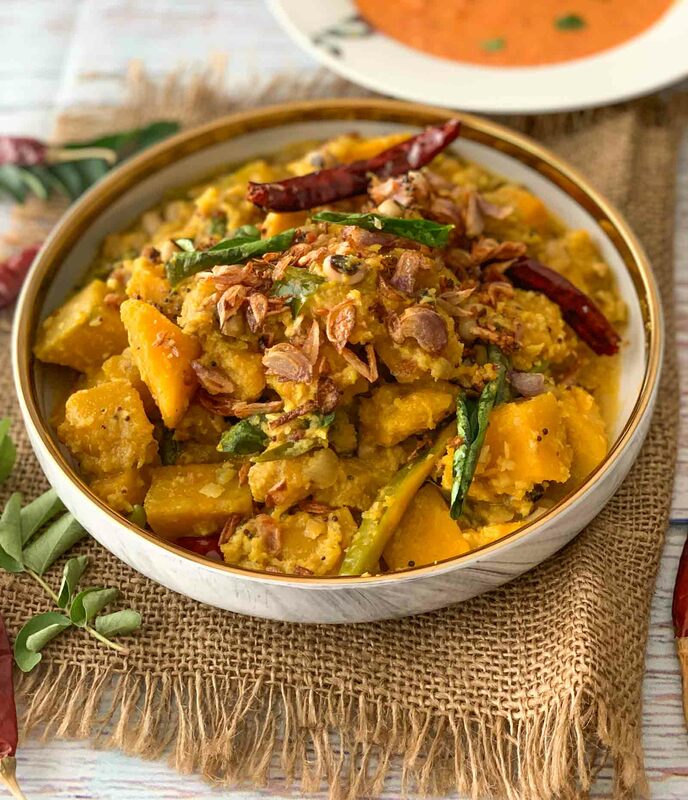 Serve Kerala Pumpkin Black Eyed Beans Erissery as a side to a Kerala Sadhya of Vellarikka Manga Curry, Kootu Curry, Matta Rice and Ada Pradhaman. To begin making Kerala Pumpkin Black Eyed Beans Erissery Recipe first soak he black eyed beans for an hour and after an hour add it to a pressure cooker with half a cup of water and pressure cook for 3 to 5 whistles. Let the pressure release on its own. Next grind the ingredients - coconut, cumin and green chillies with a little water to make a coarse paste and keep aside. Now in a wok add the pumpkins, turmeric powder, red chilli powder and salt and sprinkle some water and cook on medium heat till the pumpkins are nearly cooked. Add the ground coconut masala and the boiled black eyed peas to the pumpkin and stir and mix everything well. Cook the Kerala Pumpkin Black Eyed Beans Erissery mixture on medium heat for another five minutes till the pumpkins are completely cooked. Switch of the heat. Check the salt and seasonings and adjust the taste of the Kerala Pumpkin Black Eyed Beans Erissery accordingly. Next in a tadka pan heat oil and add the ingredients listed under tadka. First add the mustard seeds and let it splutter, then add the curry leaves and red chillies. Add the sliced onions to the tadka pan till they turn golden brown in colour and finally add the coconut and saute till the coconut turns golden brown in colour as well. 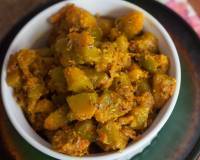 Add this to the Kerala Pumpkin Black Eyed Beans Erissery and serve hot.